Movado is the latest Swiss watchmaker showing the tech giants how it's done, and its Movado Connect smartwatch has just gone on sale. Like the Louis Vuitton Tambour Horizon, this is another high-end Android Wear watch, starting at $595 and moving up depending on which of the five styles you opt for - which is actually more expensive than the $495 figure Movado quoted back at Baselworld. The watch has NFC to support Android Pay and comes with five specially designed, customizable watch faces based on Movado watches. Those faces take inspiration from Movado's classic museum dial design, which was originally made for New York City's Museum of Modern Art. It's running the latest Android Wear 2.0, of course, with a 1.39-inch 400x400 AMOLED screen, but you won't find GPS or a heart rate sensor - Movado's all about fashion here, not fitness. And like the Louis Vuitton, it takes decidedly simple design, with just one side button and few frills. 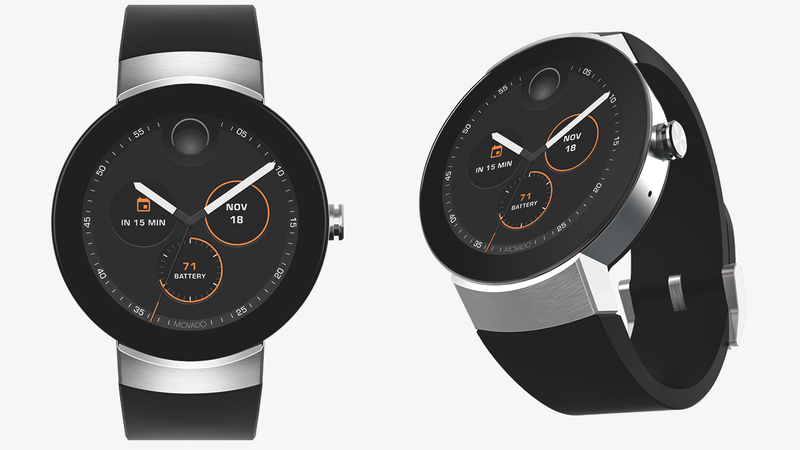 This technically isn't the first smartwatch from Movado, which teamed up with HP for a smart analogue watch called the Movado Bold Motion back in 2015. Like Fossil, Movado licences a number of other brands too including Tommy Hilfiger and Hugo Boss, both of which will also be launching Android Wear watches this fall, Movado confirmed. If you want to order one of the new Connect watches, you can only do so on Movado's online store for now.